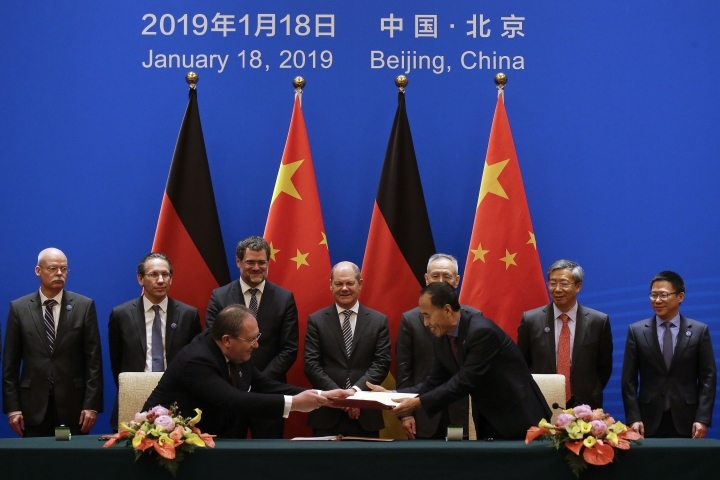 BEIJING — China and Germany promised Friday to open their markets wider to each other's banks and insurers, giving Beijing a burst of positive trade news amid conflicts with Washington and Europe. The two sides also affirmed support for a global trading system that other governments worry is threatened by President Donald Trump's "America first" policies. 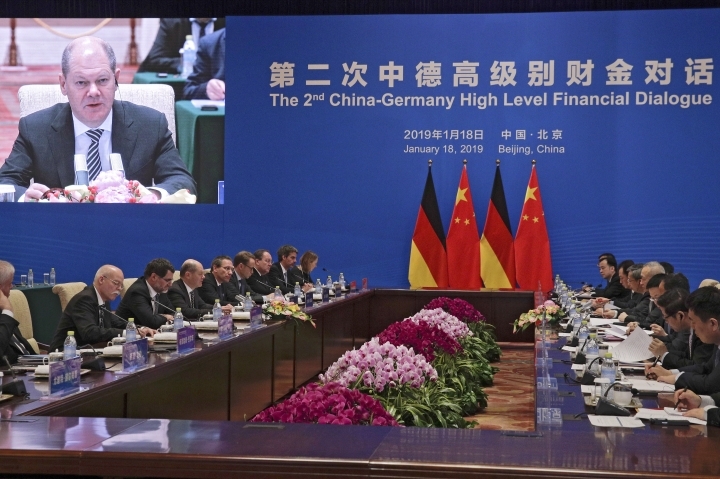 That followed an annual financial dialogue led by German Finance Minister Olaf Scholz and China's economy czar, Vice Premier Liu He. The initiatives reflect Beijing's determination to make its state-dominated economy more productive and reduce reliance on the U.S. market by building commercial ties with other countries. Chinese regulators have suspended issuing licenses to American companies in finance in response to tariff hikes imposed Trump in the fight over Beijing's technology ambitions. 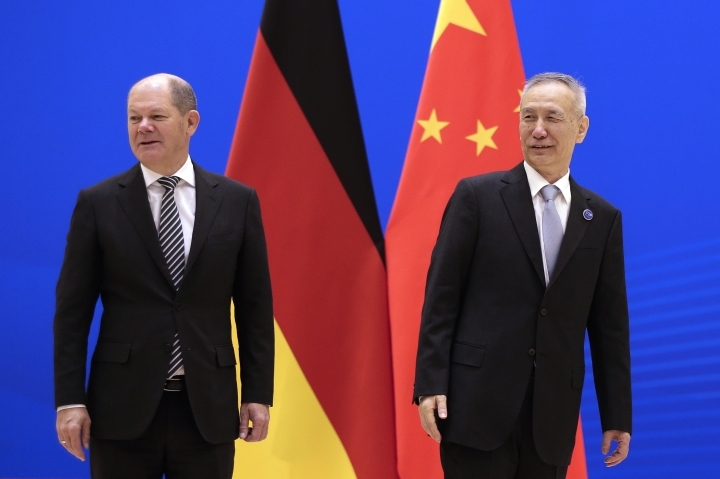 No details of market-opening were announced, but Scholz said German banks and insurers "now have easier access" to the Chinese industry. "This is an important step that we have been waiting for for a long time," the German minister said. 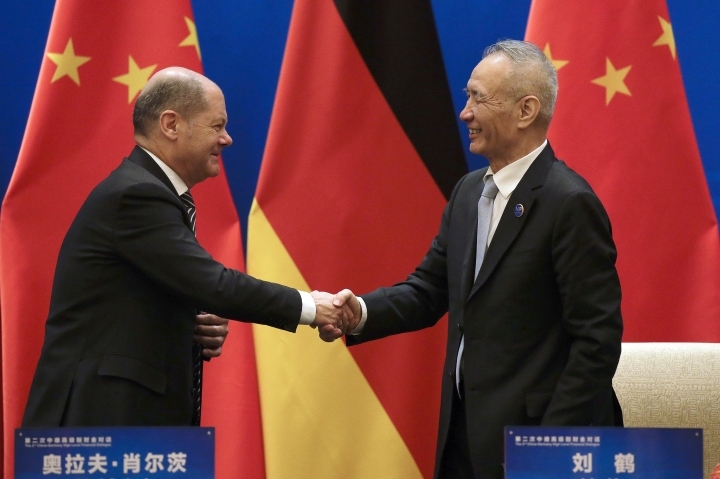 China has tried without success to recruit Germany as an ally against Trump. Berlin expresses support for free trade but Chancellor Angela Merkel has stressed her government is not taking sides. 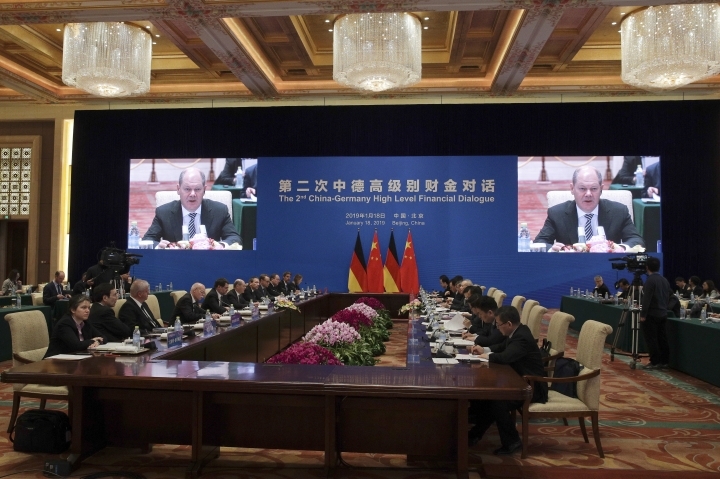 "We agree that multilateralism is the right answer to the problems of our time," said Scholz. "We know that nationalist selfishness is damaging to all." The two delegations signed agreements to cooperate more closely on financial regulation. 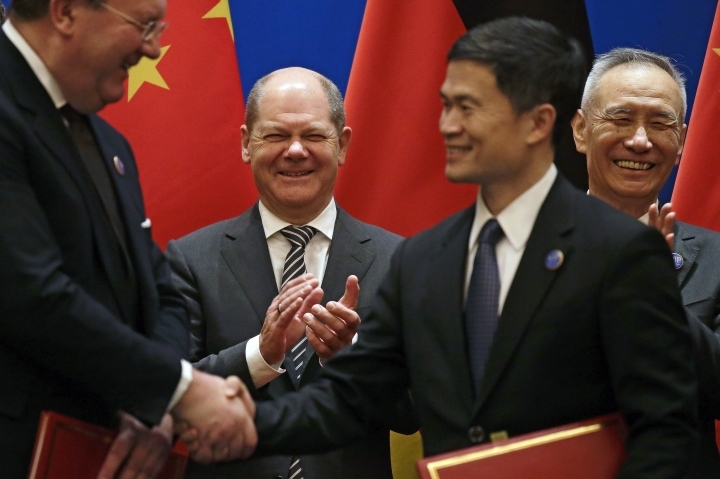 Beijing welcomes German banks to "participate in the opening and innovation of China's financial market," said Liu. He promised more "cross-border business" in banking, securities and insurance. Beijing has promised repeatedly to carry out long-delayed commitments made when it joined the World Trade Organization in 2001 to open its banking, insurance and securities markets. The government promised in 2017 to allow full foreign ownership of financial institutions for the first time but business groups say they need to see details of regulations to know whether those opportunities are worth pursuing. Beijing also faces pressure from the European Union over technology. The 28-nation trade bloc filed a challenge in the WTO in June to Chinese rules it says hamper foreign companies in protecting and profiting from their own technology. Friday's talks come at "just the right moment," when the global economy faces challenges including Britain's withdrawal from the EU and trade disputes, Scholz said.